Two framework papers that develop the concepts outlined in this article, “Value in Health Care” and “Measuring Health Outcomes,” are available as Supplementary Appendixes. In any field, improving performance and accountability depends on having a shared goal that unites the interests and activities of all stakeholders. In health care, however, stakeholders have myriad, often conflicting goals, including access to services, profitability, high quality, cost containment, safety, convenience, patient-centeredness, and satisfaction. Lack of clarity about goals has led to divergent approaches, gaming of the system, and slow progress in performance improvement. Achieving high value for patients must become the overarching goal of health care delivery, with value defined as the health outcomes achieved per dollar spent.1 This goal is what matters for patients and unites the interests of all actors in the system. If value improves, patients, payers, providers, and suppliers can all benefit while the economic sustainability of the health care system increases. Value should always be defined around the customer, and in a well-functioning health care system, the creation of value for patients should determine the rewards for all other actors in the system. Since value depends on results, not inputs, value in health care is measured by the outcomes achieved, not the volume of services delivered, and shifting focus from volume to value is a central challenge. Nor is value measured by the process of care used; process measurement and improvement are important tactics but are no substitutes for measuring outcomes and costs. Outcomes, the numerator of the value equation, are inherently condition-specific and multidimensional. For any medical condition, no single outcome captures the results of care. Cost, the equation’s denominator, refers to the total costs of the full cycle of care for the patient’s medical condition, not the cost of individual services. To reduce cost, the best approach is often to spend more on some services to reduce the need for others. For primary and preventive care, value should be measured for defined patient groups with similar needs. Patient populations requiring different bundles of primary and preventive care services might include, for example, healthy children, healthy adults, patients with a single chronic disease, frail elderly people, and patients with multiple chronic conditions. Care for a medical condition (or a patient population) usually involves multiple specialties and numerous interventions. Value for the patient is created by providers’ combined efforts over the full cycle of care. The benefits of any one intervention for ultimate outcomes will depend on the effectiveness of other interventions throughout the care cycle. Accountability for value should be shared among the providers involved. Thus, rather than “focused factories” concentrating on narrow groups of interventions, we need integrated practice units that are accountable for the total care for a medical condition and its complications. Because care activities are interdependent, value for patients is often revealed only over time and is manifested in longer-term outcomes such as sustainable recovery, need for ongoing interventions, or occurrences of treatment-induced illnesses.2 The only way to accurately measure value, then, is to track patient outcomes and costs longitudinally. For patients with multiple medical conditions, value should be measured for each condition, with the presence of the other conditions used for risk adjustment. This approach allows for relevant comparisons among patients’ results, including comparisons of providers’ ability to care for patients with complex conditions. The current organizational structure and information systems of health care delivery make it challenging to measure (and deliver) value. Thus, most providers fail to do so. Providers tend to measure only what they directly control in a particular intervention and what is easily measured, rather than what matters for outcomes. For example, current measures cover a single department (too narrow to be relevant to patients) or outcomes for a whole hospital, such as infection rates (too broad to be relevant to patients). Or they measure what is billed, even though current reimbursement practices are misaligned with value. Similarly, costs are measured for departments or billing units rather than for the full care cycle over which value is determined. Faulty organizational structure also helps explain why physicians fail to accept joint responsibility for outcomes, blaming lack of control over “outside” actors involved in care (even those in the same hospital) and patients’ compliance. Measuring, reporting, and comparing outcomes are perhaps the most important steps toward rapidly improving outcomes and making good choices about reducing costs.4 Systematic, rigorous outcome measurement remains rare, but a growing number of examples of comprehensive outcome measurement provide evidence of its feasibility and impact. Determining the group of relevant outcomes to measure for any medical condition (or patient population in the context of primary care) should follow several principles. Outcomes should include the health circumstances most relevant to patients. They should cover both near-term and longer-term health, addressing a period long enough to encompass the ultimate results of care. And outcome measurement should include sufficient measurement of risk factors or initial conditions to allow for risk adjustment. For any condition or population, multiple outcomes collectively define success. The complexity of medicine means that competing outcomes (e.g., near-term safety versus long-term functionality) must often be weighed against each other. Figure 1: The Outcome Measures Hierarchy. The outcomes for any medical condition can be arrayed in a three-tiered hierarchy (see Figure 1), in which the top tier is generally the most important and lower-tier outcomes involve a progression of results contingent on success at the higher tiers. Each tier of the framework contains two levels, each involving one or more distinct outcome dimensions. For each dimension, success is measured with the use of one or more specific metrics. Tier 1 is the health status that is achieved or, for patients with some degenerative conditions, retained. The first level, survival, is of overriding importance to most patients and can be measured over various periods appropriate to the medical condition; for cancer, 1-year and 5-year survival are common metrics. Maximizing the duration of survival may not be the most important outcome, however, especially for older patients who may weight other outcomes more heavily. The second level in Tier 1 is the degree of health or recovery achieved or retained at the peak or steady state, which normally includes dimensions such as freedom from disease and relevant aspects of functional status. Tier 2 outcomes are related to the recovery process. The first level is the time required to achieve recovery and return to normal or best attainable function, which can be divided into the time needed to complete various phases of care. Cycle time is a critical outcome for patients — not a secondary process measure, as some believe. Delays in diagnosis or formulation of treatment plans can cause unnecessary anxiety. Reducing the cycle time (e.g., time to reperfusion after myocardial infarction) can improve functionality and reduce complications. The second level in Tier 2 is the disutility of the care or treatment process in terms of discomfort, retreatment, short-term complications, and errors and their consequences. Tier 3 is the sustainability of health. The first level is recurrences of the original disease or longer-term complications. The second level captures new health problems created as a consequence of treatment. When recurrences or new illnesses occur, all outcomes must be remeasured. With some conditions, such as metastatic cancers, providers may have a limited effect on survival or other Tier 1 outcomes, but they can differentiate themselves in Tiers 2 and 3 by making care more timely, reducing discomfort, and minimizing recurrence. Each medical condition (or population of primary care patients) will have its own outcome measures. Measurement efforts should begin with at least one outcome dimension at each tier, and ideally one at each level. As experience and available data infrastructure grow, the number of dimensions (and measures) can be expanded. Improving one outcome dimension can benefit others. For example, more timely treatment can improve recovery. However, measurement can also make explicit the tradeoffs among outcome dimensions. For example, achieving more complete recovery may require more arduous treatment or confer a higher risk of complications. Mapping these tradeoffs, and seeking ways to reduce them, is an essential part of the care-innovation process. Figure 2: Outcome Hierarchies for Breast Cancer and Knee Osteoarthritis. The most important users of outcome measurement are providers, for whom comprehensive measurement can lead to substantial improvement.5 Outcomes need not be reported publicly to benefit patients and providers, and public reporting must be phased in carefully enough to win providers’ confidence. Progression to public reporting, however, will accelerate innovation by motivating providers to improve relative to their peers and permitting all stakeholders to benefit fully from outcome information. Current cost-measurement approaches have also obscured value in health care and led to cost-containment efforts that are incremental, ineffective, and sometimes even counterproductive. Today, health care organizations measure and accumulate costs around departments, physician specialties, discrete service areas, and line items such as drugs and supplies — a reflection of the organization and financing of care. Costs, like outcomes, should instead be measured around the patient. Measuring the total costs over a patient’s entire care cycle and weighing them against outcomes will enable truly structural cost reduction, through steps such as reallocation of spending among types of services, elimination of non–value-adding services, better use of capacity, shortening of cycle time, provision of services in the appropriate settings, and so on. 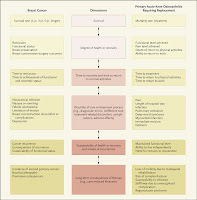 This article (10.1056/NEJMp1011024) was published on December 8, 2010, at NEJM.org. 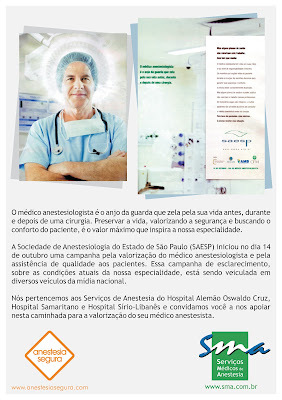 Artigo retirado da última edição (setembro/outubro de 2010) da Revista dos Médicos, do Hospital Sírio-Libanês. Contemp Clin Trials. 2008 Jul;29(4):517-26. Epub 2008 Jan 12. Can regional analgesia reduce the risk of recurrence after breast cancer? Methodology of a multicenter randomized trial. Sessler DI, Ben-Eliyahu S, Mascha EJ, Parat MO, Buggy DJ. Surgery is the primary and most effective treatment of breast cancer, but minimal residual disease is probably unavoidable. Whether residual disease results in clinical metastases depends on numerous factors, including anti-tumor cell mediated immunity and angiogenic and growth signals in sites of residual disease. At least three perioperative factors adversely affect these: 1) the neuroendocrine stress response to surgery, 2) volatile anesthetics, and 3) opioids. Animal studies indicate that regional anesthesia and optimum postoperative analgesia independently reduce the metastatic burden in animals inoculated with breast adenocarcinoma cells following surgery. Retrospective studies in humans also suggest that regional analgesia may reduce recurrence risk after cancer surgery. We will test the hypothesis that local or metastatic recurrence after breast cancer surgery is lower in patients randomized to paravertebral or high-thoracic epidural analgesia combined with sedation or light anesthesia than in patients given intraoperative volatile anesthesia and postoperative opioid analgesia. In a Phase III, multi-center trial, Stage 1-3 patients having mastectomies for cancer will be randomly assigned to thoracic epidural or paravertebral anesthesia/analgesia, or to sevoflurane anesthesia and morphine analgesia. The primary outcome will be cancer recurrence. Enrolling 1100 patients over 5 years will provide 85% power for detecting a 30% treatment effect at an alpha of 0.05. We plan four equally spaced interim analyses, each evaluating efficacy and futility. Confirming our hypothesis will indicate that a small modification to anesthetic management, one that can be implemented with little risk or cost, will reduce the risk of cancer recurrence - a complication that is often ultimately lethal. Regional techniques and outcome: what is the evidence? Department of Anesthesiology and Critical Care Medicine, The Johns Hopkins University, Baltimore, Maryland, USA. 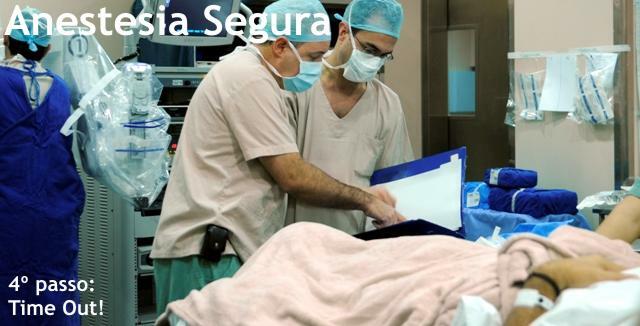 Purpose of review: Despite some controversy regarding the strength of the available data, the use of regional anesthesia and analgesia does provide improvement in patient outcomes. Although the majority of available data have examined the effect of epidural anesthesia and analgesia on patient outcomes, an increasing number of studies recently have investigated the effect of peripheral regional techniques on patient outcomes. Recent findings: Data generally indicate that the perioperative use of regional anesthesia and analgesia may be associated with improvement in both major (e.g. mortality, major morbidity) outcomes and rehabilitation. The majority of evidence favors an ability of epidural analgesia to reduce postoperative cardiovascular and pulmonary complications and there is also consistent evidence that epidural analgesia with local anesthetics is associated with faster resolution of postoperative ileus after major abdominal surgery. Overall, regional analgesic techniques provide statistically superior analgesia compared with systemic opioids. Summary: Perioperative use of regional analgesic techniques may provide improvement in conventional outcomes, although the benefit appears to be limited to high-risk patients and those undergoing high-risk procedures. The benefits conferred by perioperative regional anesthetic techniques need to be weighed against any potential risks and this should be assessed on an individual basis. O tratamento da dor melhora a imunidade do paciente na recuperação imediata e a médio prazo, especialmente nos primeiros 30 dias de pós-operatório. Existem evidências na literatura de que o tratamento agressivo da dor pós-operatória ou de um episódio de dor aguda interfere no sistema imune do paciente, ao mantê-lo menos sujeito a infecções relacionadas à cirurgia e/ou infecções oportunistas. Estudos científicos sobre cirurgia de grande porte de ombro demonstraram que, principalmente em pacientes com idade acima de 65 anos, infecções oportunistas são menos comuns quando a dor pós-operatória é tratada intensivamente. A terapia analgésica correta também diminui o tempo de íleo paralítico pós-operatório, ao reduzir a proliferação bacteriana no trato gastrointestinal e evitar sepses por translocação. A fisiopatologia da dor é multifatorial e complexa com liberação de várias substâncias. O mais lógico é a utilização de um esquema analgésico que atue nos diferentes níveis da dor e da resposta inflamatória, para o que são necessários agentes com diferentes mecanismos de ação. Nestes conceitos reside a multimodalidade da analgesia, de forma a reduzir a quantidade individual de cada medicamento, através dos efeitos aditivo e sinérgico entre os fármacos. Efeito aditivo: Fármaco A aplicado juntamente com o Fármaco B tem ação igual à soma das ações das mesmas doses dos Fármacos A e B, quando administrados separadamente. Efeito sinérgico: O Fármaco A aplicado juntamente com o Fármaco B tem ação maior que a soma das ações das mesmas doses dos Fármacos A e B quando administrados separadamente. O enfoque multimodal possibilita uso de menores doses individuais de cada fármaco, minimizando os efeitos adversos potenciais. Para nós, que trabalhamos com dores aguda e crônica, não há discussão quanto à superioridade do enfoque multimodal. Portanto, é melhor utilizar três a quatro medicações analgésicas na prescrição do que apenas uma. A agressão cirúrgica gera reações locais e sistêmicas pró-inflamatórias que facilitam a transmissão da dor. 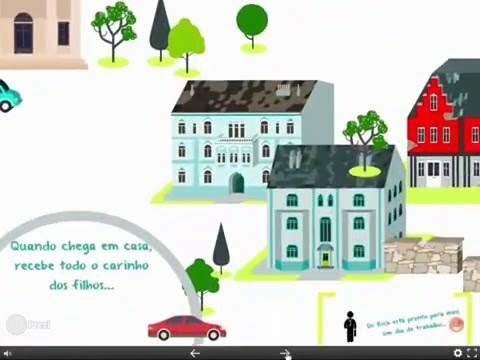 Um dos principais pilares desta reação é a produção local e no sistema nervoso central de prostaglandinas, que são os principais sensibilizadores dos nociceptores. A analgesia iniciada no intraoperatório tem como objetivo oferecer conforto ao paciente e inibir os reflexos nociceptivos, permitindo que ele respire adequadamente, possa realizar esforço de tosse e movimentar-se, o que vai diminuir muito a morbimortalidade perioperatória. Assim, é preciso, que a abordagem da dor no intraoperatório também seja feita de uma maneira multimodal. A base da analgesia pós-operatória tem sido a administração de opioides. 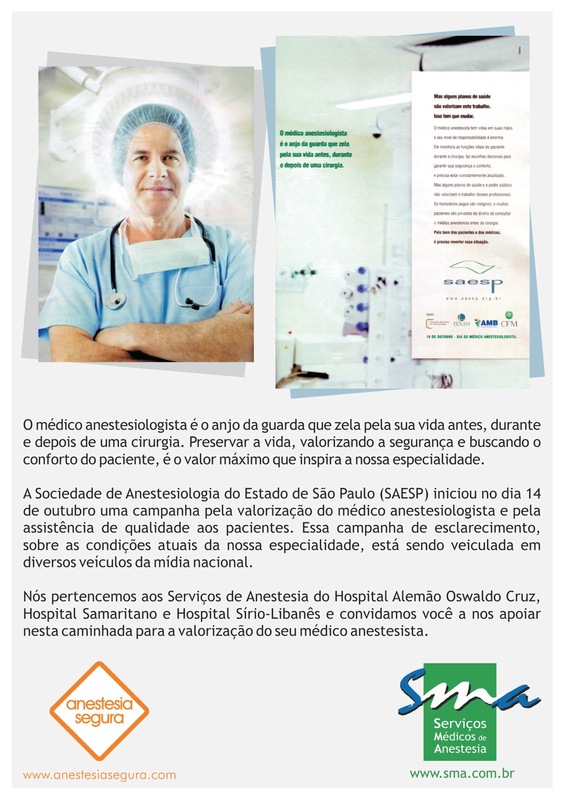 Esse tipo de medicação associa-se ao aumento da incidência de náuseas, vômitos e/ou íleo paralítico. Nesses casos, o uso de opioides deve ser reduzido, optando-se por uma abordagem multimodal que inclua outras técnicas e medicamentos adjuvantes (AINE, cetamina, e outros), objetivando-se o retorno precoce da motilidade gastrointestinal. Estudos realizados para determinar qual técnica anestésica determina melhor efeito na recuperação da função intestinal verificaram que a analgesia peridural realizada em nível torácico, apenas com anestésicos locais, causa um bloqueio segmentar simpático toracolombar, que deixa livre a influência parassimpática do nervo vago e das raízes sacras, as quais estimulam a motilidade intestinal e determinam um retorno precoce da função intestinal. A absorção sistêmica do anestésico local também influencia o retorno da motilidade intestinal, provavelmente por ação na musculatura lisa intestinal ou por redução do consumo de opioides. A analgesia peridural com opioides é menos efetiva do que a realizada com anestésicos locais, em termos de redução de íleo paralítico. Por outro lado, a analgesia sistêmica com opioides produz maior redução da motilidade gastrointestinal do que a analgesia peridural com opióides. O uso de uma abordagem multimodal na analgesia pós-operatória, com a implantação de técnicas e drogas poupadoras de opioides: anestésicos locais, antagonistas de receptores NMDA (cetamina), agonistas adrenérgicos α2 (clonidina, dexmedetomidina), dipirona, antiinflamatórios (AINEs), corticóides – servirão para reduzir a mortalidade do paciente, principalmente a pós-operatória, ainda mais, se aliada a fatores de recuperação acelerada, como alívio do estresse e mobilização precoce. A analgesia, a despeito de ser o principal fator, não é, por si só, capaz de acelerar a recuperação do paciente, mas é capaz de causar um imenso apoio psicológico. Nos centros superiores – com o uso de opioides por via sistêmica. 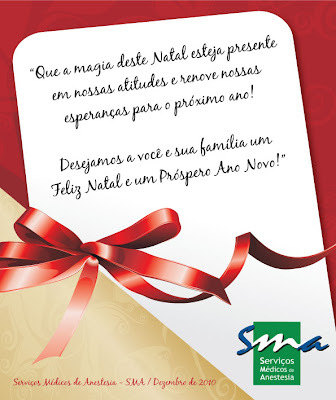 Esse planejamento, além de oferecer melhor qualidade de atendimento ao paciente, serve para integrá-lo ao programa multimodal. As medicações preemptivas com tratamento multimodal modificam as respostas fisiológicas em vários níveis, interceptam os estímulos nociceptivos, evitam o aumento da sensação dolorosa e bloqueiam ou diminuem a ativação do nociceptor. 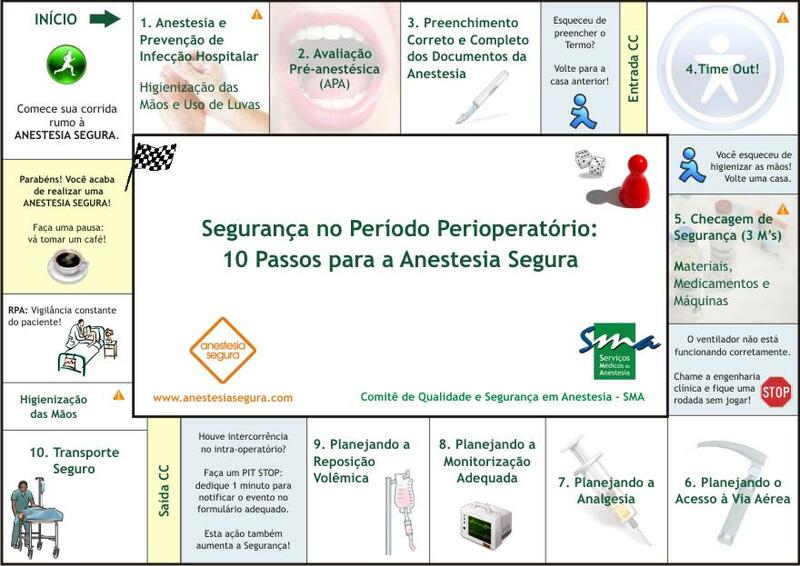 O anestesiologista deve fazer um planejamento individualizado da analgesia intraoperatória para cada paciente cirúrgico. Os fármacos utilizados na prevenção desta ocorrência são os analgésicos, antiinflamatórios (AINEs), corticóides, antagonistas de receptores NMDA (cetamina), agonistas adrenérgicos α2 (clonidina, dexmedetomidina), e os anestésicos locais empregados em bloqueios antes da incisão. A neuroplasticidade central ou alteração no sistema nervoso central amplificam a dor pós-operatória. Como no pós-operatório ocorrem os dois tipos de hipersensibilização, a analgesia preemptiva deve ser eficaz, dando-se preferência ao tratamento multimodal e promover um sinergismo de ação que interfira nos diferentes mecanismos da dor. É importante lembrar que fatores psicológicos, culturais, experiências anteriores de dor e ansiedade interferem na intensidade da dor pós-operatória; portanto, esta deve ser tratada com drogas específicas associadas à terapia multimodal. A grande maioria dos anestesiologistas fica temerosa em utilizar uma analgesia mais agressiva no intraoperatorio, com a administração de opioide e/ou cetamina, por achar que o paciente vai permanecer por mais tempo sedado na sala cirúrgica, postergando sua saída para a sala de recuperação pós-anestésica. Na prática diária isto não é real, desde que o paciente não apresente comorbidades que irão contribuir para que tais fatos aconteçam. A terapia analgésica deve ser sempre multimodal, ou seja, devemos sempre estimular a associação de dois ou mais agentes ou técnicas analgésicas (periférica ou central). Há sinergismo entre as técnicas analgésicas e também um importante efeito poupador de opioides. Sabemos que tais fármacos são a base da analgesia, mas, apesar do alívio da dor, produzem diversos efeitos indesejáveis. A abordagem multimodal permite o uso de menores doses de opioides e, assim, a diminuição da incidência de efeitos adversos que retardam a recuperação dos pacientes, principalmente a depressão respiratória e o íleo paralítico. Portanto, deve-se sempre que possível estimular a associação de alguma técnica regional, pois a analgesia regional é a que apresenta o melhor efeito em termos de redução do consumo de opioides e recuperação precoce. Não esquecer as medicações adjuvantes, quando possível. O tratamento da dor só é eficaz se sua avaliação for feita de maneira frequente e com registro contínuo. Shir et al concluiu que “um bloqueio completo intraoperatório do sinal aferente para o SNC é fundamental para diminuir a dor pós-operatória.” Precisamos ter amplo conhecimento das modalidades terapêuticas disponíveis, para podermos selecionar a que mais se adapta a cada paciente. Devemos usar drogas seguras e potentes de ação rápida, capazes de debelar a dor intensa rapidamente, e com meia-vida curta, o que evita o acúmulo delas, que é fator de risco para as complicações. No tratamento da dor aguda não se deve usar opioides de ação prolongada (ex. metadona), tampouco as formas de depósito (ex. fentanila transdérmico), justamente por terem cinética de absorção e eliminação prolongadas, que impedem a titulação de dose de modo rápido e seguro ficando o paciente mais suscetível à intoxicação ou com analgesia deficiente. No pós-operatório imediato (sala de recuperação) não existiria o risco de sensibilização central, visto que a analgesia programada para aquele porte cirúrgico foi iniciada antes do procedimento cirúrgico. O verdadeiro sucesso do tratamento da dor no intraoperatório está relacionado com a experiência prévia de cada anestesiologista, bem como no conhecimento das medicações e técnicas de analgesia e no acompanhamento do resultado delas na sala de recuperação pós-anestésica. Atualmente, não são muitos os anestesiologistas que valorizam a importância da reavaliação da dor de seus pacientes, tanto na sala de recuperação pós-anestésica, como no restante do período pós-operatório imediato. A analgesia adequada pode aumentar a segurança do paciente cirúrgico? Quando entendemos que segurança é a mitigação de riscos relacionados à assistência ao paciente fica mais fácil responder a esta pergunta, pois estudos demonstram que a dor provoca alterações a níveis autonômico, comportamental, imunológico e hemostático, aumentando a possibilidade de complicações no período perioperatório e consequentemente impactando na segurança do paciente. A analgesia inadequada interfere na recuperação pós-operatória e consequentemente no tempo de internação e nos custos assistenciais. Estudos demonstram que a realização de analgesia peridural associada à anestesia geral pode reduzir em até 40% o risco de infecção pulmonar no período pós-operatório de cirurgias de grande porte. Dados disponíveis de pesquisas mais recentes sugerem que a anestesia regional e a adequada analgesia possuem impacto nos resultados cirúrgicos a longo prazo de pacientes oncológicos, pois ajudam a preservar as defesas naturais do organismo contra a progressão tumoral pela atenuação da resposta inflamatória e por reduzir a necessidade de analgésicos intra e pós-operatórios. O adequado tratamento da dor no pós-operatório não é apenas uma questão fisiopatológica, é também uma questão ética e econômica. Melhor controle da dor evita sofrimento desnecessário, proporciona maior satisfação do doente com o atendimento, melhora a relação médico-paciente e reduz os custos relacionados a possíveis complicações que determinam maiores períodos de internação, como, por exemplo, a infecção hospitalar. Com os estudos mais recentes temos verificado a sua importância no resultado para o paciente (saúde) a longo prazo, o que tem gerado o entendimento da necessidade de monitoramento de complicações com nexo causal com a analgesia/anestesia por um período maior. Se décadas atrás a anestesia terminava quando “o gás era desligado” ainda em sala operatória, com os estudos mais recentes, temos verificado que o seu impacto pode se estender até por anos/décadas. Nas próximas semanas vamos publicar um texto relacionado ao planejamento da analgesia pós-operatória e segurança do paciente, escrito pelo Dr. Maurício Nunes Nogueira, coordenador do Serviço de Terapia da Dor do Hospital Alemão Oswaldo Cruz/SMA. Vamos incluir também artigos considerados referência no assunto a nível internacional que abordam a importância do controle da dor para a minimização de complicações e também alguns riscos associados à utilização de “alta tecnologia” em analgesia, o PCA (Patient Controlled Analgesia). TEACHING AND TREATING At Stanford University, Dr. Abraham Verghese is on a mission to bring back something he considers a lost art: the physical exam. STANFORD, Calif. — For a 55-year-old man with a bad back and a bum knee from too much tennis, Dr. Abraham Verghese was amazingly limber as he showed a roomful of doctors-in-training a twisting, dancelike walk he had spied in the hospital corridor the day before. He challenged them to diagnose it. Hemiplegia? Sensory ataxia? Chorea? Spastic diplegia? “It would be a shame to have someone with a gait that’s diagnostic, and yet we can’t recognize it,” he said. It was their introduction to a rollicking workshop on abnormal gaits that soon had them shuffling, staggering and thrashing about, challenging one another. Parkinson’s? Neuropathy? Stroke? Dr. Verghese (ver-GEESE) is the senior associate chairman for the theory and practice of medicine at Stanford University. He is also the author of two highly acclaimed memoirs, “My Own Country” and “The Tennis Partner,” and a novel, “Cutting for Stone,” which is now a best seller. At Stanford, he is on a mission to bring back something he considers a lost art: the physical exam. The old-fashioned touching, looking and listening — the once prized, almost magical skills of the doctor who missed nothing and could swiftly diagnose a peculiar walk, sluggish thyroid or leaky heart valve using just keen eyes, practiced hands and a stethoscope. Art and medicine may seem disparate worlds, but Dr. Verghese insists that for him they are one. Doctors and writers are both collectors of stories, and he says his two careers have the same joy and the same prerequisite: “infinite curiosity about other people.” He cannot help secretly diagnosing ailments in strangers, or wondering about the lives his patients lead outside the hospital. “People are endlessly mysterious,” he said in an interview in his office at the medical school, where volumes of poetry share the bookshelves with medical texts, family photos and a collection of reflex hammers. His sources of inspiration include W. Somerset Maugham and Harrison’s Principles of Internal Medicine. In addition to his medical degree, he has one from the writing workshop at the University of Iowa. He is out to save the physical exam because it seems to be wasting away, he says, in an era of CT, ultrasound, M.R.I., countless lab tests and doctor visits that whip by like speed dates. Who has not felt slighted by a stethoscope applied through the shirt, or a millisecond peek into the throat? Some doctors would gladly let the exam go, claiming that much of it has been rendered obsolete by technology and that there are better ways to spend their time with patients. Some admit they do the exam almost as a token gesture, only because patients expect it. Medical schools in the United States have let the exam slide, Dr. Verghese says, noting that over time he has encountered more and more interns and residents who do not know how to test a patient’s reflexes or palpate a spleen. He likes to joke that a person could show up at the hospital with a finger missing, and doctors would insist on an M.R.I., a CT scan and an orthopedic consult to confirm it. Dr. Verghese trained before M.R.I. or CT existed, in Ethiopia and India, where fancy equipment was scarce and good examination skills were a matter of necessity and pride. He still believes a thorough exam can yield vital information and help doctors figure out which tests to order and which to skip — surely a worthwhile goal as the United States struggles to control health care costs, he said. A proper exam also earns trust, he said, and serves as a ritual that transforms two strangers into doctor and patient. “Patients know in a heartbeat if they’re getting a clumsy exam,” he said. He has lectured and written about the erosion of examination skills, and his ideas have resonated with many doctors. “Coming from here, it’s taken more seriously,” he said. With colleagues, he developed the Stanford 25, a list of techniques that every doctor should know, like how to listen to the heart or look at blood vessels at the back of the eye. The 25 are not the only exams or even the most important ones, he emphasizes — just a place to start. At times, Dr. Verghese said, he feels almost embarrassed by all the interest in his work, because the exam techniques he is teaching are nothing more than the same ones he learned in Ethiopia and India decades ago. Two days a week he hides out to write, in a secret office that was part of the deal he made when Stanford recruited him. His name is not even on the door; he left the names of the previous occupants. There is no land line. Like Dr. Marion Stone, the main character in “Cutting for Stone,” Dr. Verghese was born in Ethiopia. His parents were teachers from Kerala, a state in southern India. His mother had newspaper articles published there about life in Ethiopia. The family’s expectations were high. “You were a doctor, engineer, lawyer or a failure,” Dr. Verghese said. He was always drawn to literature, but never imagined he could make living at it. He left Ethiopia at 15 for two years of premedical studies in Madras, India, and then returned to Addis Ababa for medical school. By then his parents, worried about Ethiopia’s stability, had moved to the United States. But he had no desire to leave. “I loved that land,” he recalled. The medical training was rigorous. Students spent a year dissecting a cadaver, and then had to pass grueling essay exams. Medical students in the United States today spend far less time studying anatomy — too little to learn it well, he said, shaking his head. Civil war broke out in Ethiopia in 1974. Emperor Haile Selassie was deposed, and the military took over. During Dr. Verghese’s third year of medical school, the university was shut down. Soldiers were everywhere. A curfew was imposed, and troops patrolled at night in jeeps with mounted machine guns. Corpses lay in the streets. As a citizen of India, he was a foreigner, and it was time to get out. He joined his parents in Westfield, N.J.
America excited him. But he was a young man used to being on his own, thrust back into a small house with his parents, who urged him to finish his medical studies. He would have to start from scratch, earning a bachelor’s degree and then applying to medical schools, even though he already had more than two years of medical training. He took a night job as a hospital orderly. He liked earning a paycheck, and he bought a used car, hung out with nurses and orderlies, and dated an American girl. He lost his way during that period, he says, and it made him the black sheep of the family. Then one night at work he had an epiphany. He picked up a book that a medical student had left behind, the Harrison textbook. It’s a medical school classic, the same book he had studied in Ethiopia. He realized how much he had already invested in medicine, and what he would be throwing away if he did not resume his training. He finished medical school in India, and then did his residency in the United States, specializing in internal medicine and infectious disease. His long hours and intense involvement with his patients led to his first book, “My Own Country,” but also drained him and contributed to the failure of his first marriage. Still, it was not a mistake to get so close, he insists. He met his present wife, Sylvia, in El Paso, where she had started a ministry to help people with AIDS. Their son, Tristan, is 12. Dr. Verghese also has two grown sons, Jacob and Steven, from his first marriage. Making hospital rounds with students, Dr. Verghese is in his element. He is impeccably dressed under the white coat, in a crisp dress shirt, pale silk tie and sharply pressed pants. His hair has made its retreat, and what remains is trimmed too close to hide the hearing aids that he has reluctantly begun to wear. He loves being in the wards, he says. It is the only place where his back does not ache. On a morning in August, he peppered four students with rapid-fire questions, mini-lectures on science and the history of medicine, pointers on presenting cases, and jokes that made them roll their eyes or laugh, or both. “What can alcohol do to the nervous system?” he asked. Damage the cerebellum, said one. Cause seizures, said another. “Come on, I want 10,” Dr. Verghese said, insistent but not bullying. “What’s the most important part of the stethoscope?” They stared at him. “The part between the earpieces.” They moaned. Striding down the corridor, he told them about an unusual condition that produces silver-colored stools. “You’ll be so impressed you’ll want to take them home,” he said. With a group of third-year medical students, he waited until they had taken their places around a patient’s bed, then asked them to turn their backs and look away. What had they noticed on the bedside table? A lunch tray? A book? Clues to whether the patient could eat, whether he was alert? Did he look comfortable? Or did he seem to be in pain? The patient, a man in his 80s, grinned, enjoying the show, and seemed pleased to let the students practice palpating his spleen and percussing his lungs. “Name five things that are better outside the body than in,” he asked, not mentioning that the answer appears in his novel: fluids, fetuses, foreign bodies, feces and flatus. They gathered around the next patient, leaning in close as Dr. Verghese pointed out signs of facial weakness — inability to raise the eyebrows, a lip that rose more on one side than the other when Dr. Verghese asked to see the patient’s teeth, one eye that blinked more often than the other. As she had watched them walk by, only one of her eyes had moved. Just a few of the students had noticed. Outside another patient’s room, he had a group of interns and residents palpating their own thighs as he showed them a technique for finding the right place to stick the needle when culturing an abscess. Dr. Verghese smiled. “I am here to astound you,” he said. An article on Tuesday about Dr. Abraham Verghese, a Stanford medical professor who emphasizes the importance of physical examinations, referred incorrectly to Kerala, in southern India, where his parents came from, and to the prevalence of Christianity there. Kerala is a state, not a region, and although Christianity is prominent in some parts, the state is not predominantly Christian. Residência Médica em Anestesiologia do SMA (Serviços Médicos de Anestesia) e Hospital Sírio-Libanês é credenciada pela Comissão Nacional de Residência Médica do Ministério da Educação e Cultura (CNRM/MEC) e pela Sociedade Brasileira de Anestesiologia (SBA). O Hospital Alemão Oswaldo Cruz e o Hospital Samaritano também integram o programa de treinamento. Informações adicionais e inscrições clique aqui!